We are pleased to announce the MST series of 3 phase UPS Systems has now been extended to include new models rated 160 & 200kVA/kW. 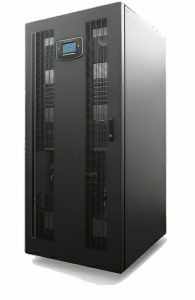 These new additions feature the latest developments in UPS power conversion technology including; three level Inverter technology & intelligent control, higher active power availability – kW = kVA (pf-1), very high efficiencies of up to 96% and a smart ventilation system resulting in further energy savings and reduced noise levels. Contact us for further information.